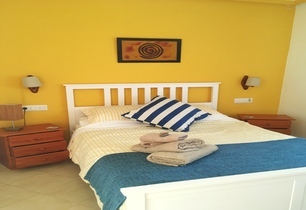 Renting a villa in the Canaries does not mean confining yourself to one style of holiday or landscape. Rather, these seven islands, making up the Spanish archipelago just off the northwest coast of Africa, offer a wide range of villa holiday options to suit everyone. As the largest island in the Canaries, a villa rental in Tenerife will give you an explosive range of treats. One of two World Heritage Sites on the island, the volcano El Teine is Spain’s tallest peak and provides spectacular volcanic terrain if you fancy packing your hiking boots. There are also over 200 miles of coastline and tropical forest walks. For those looking for a faster pace of life, head towards the famous nightlife of Playa de las Americas or the Carnival of Santa Cruz de Tenerife, second only to Rio, which is held in the capital each February. 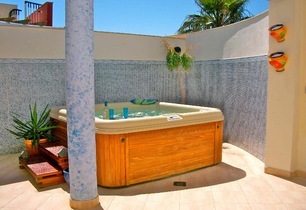 Our villa rentals can place you right in the heart of where you want to be. Lanzarote and its National Park Timanfaya, or fire mountain, is so important in its geography that the whole island has a UNESCO Biosphere Reserve protected site status. For culture and dramatic landscapes you need look no further than a Canaries villa holiday in Lanzarote. Driven mainly by the passion of Cesar Manrique, a local artist, buildings have been sensitively maintained at a low level with subtle white and green painted exteriors and the artist’s unique artwork can be seen throughout the island. So, from your tasteful, privately owned villa, take a camel ride up a volcano or soak up the famous subtropical climate on one of the peaceful beaches. The fact that Gran Canaria is known as a miniature continent gives a clue to the dramatic variation of terrains and microclimates. Although also volcanic in origin, In contrast to the rocky landscapes of Tenerife and Lanzarote during your stay in a Gran Canaria villa, you can enjoy long beaches and white dunes of sand. For more a more adrenaline fuelled holiday there is also a wide range of sporting activities on offer, and the cosmopolitan capital of Las Palmas de Gran Canaria will allow you to soak up all the culture you could imagine. Fuerteventura, which roughly translates as ‘Strong Fortune’ averages 3000 hours of sunshine a year, which, along with long stretches of untouched white sandy beaches and an atlantic breeze provides an attractive prospect for water sports lovers and anyone with an appreciation of unspoilt natural beauty alike. 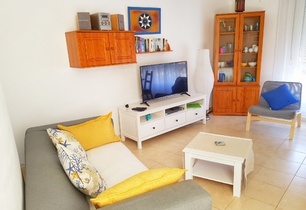 So, with an average temperature of 21 degrees in the coldest month, the lowest amount of rainy days in Europe and such an eclectic choice of holidays, it is no wonder a villa rental in The Canaries is an appealing choice.